In a political-economic climate geared towards competitiveness, countries around the world seek to transform and restructure their education systems in order to meet the challenges of the knowledge and learning societies. These change processes, determined by the need to compete globally, to close the cognitive and digital gaps, and embrace diversity, mark the orientation of educational and research policies. Disseminating the research that aligns these policies to education is extremely important in the understanding of how to promote citizenship and prepare the new workforce in schools, universities, and teaching preparation programs. 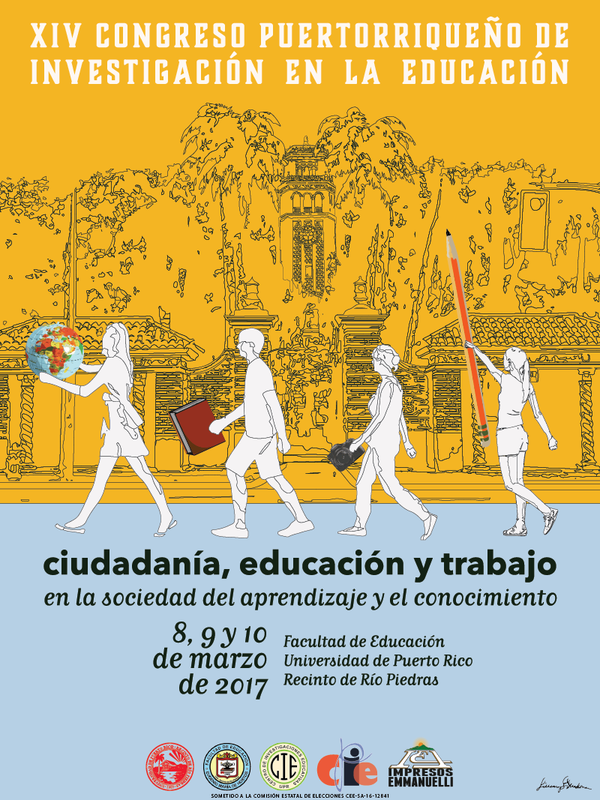 The XIV Puerto Rican Congress on Research in Education invites professors, researchers, teachers, administrators, students, and other interested parties to submit proposals under the following themes: digital citizen; restructuring of educational systems; research, evaluation and academic achievement; internationalization; social responsibility of schools and universities; innovative projects for 21st century K-12 programs; curricular trends in science, technology, engineering and mathematics (STEM); bilingualism and multilingualism; education in values; fine arts and creativity; cognition and language; education, diversity and inequality (social mobility and opportunities); challenges in education facing immigration and social sectors; gender; preschool education; health and physical activity The XIV Congress invites the academic community and the general public to engage in a deep and comprehensive discussion of the theme: “Citizenship, Education and Work in the Learning and Knowledge Society.” Proposals are accepted in Spanish or English. This year, the Congress will accept online presentations. Nevertheless, the number of these virtual presentations will be limited. If you are interested in opting for this format, choose the corresponding checkbox in the proposal submission form. The Program Committee will review and decide which and how many proposals will be accepted as online presentations. If your proposal is accepted, you will have the option to submit a paper to be considered for publication on the Congress’s website; it must include a 150 word abstract and a list of descriptors in both Spanish and English. 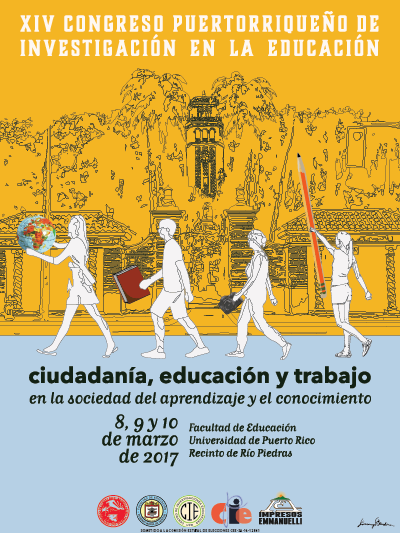 For more information or to submit a proposal, visit the XIV Puerto Rican Congress on Research in Education’s website at http://congresoeducacion.uprrp.edu. The electronic submission form will be available soon. The deadline for proposal submissions has ended. Nevertheless you can still submit a proposal for the poster session ONLY until Friday, January 27, 2017.